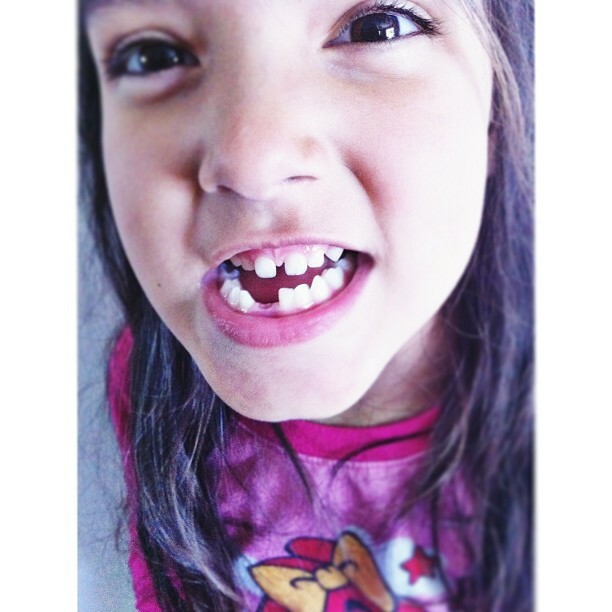 A few days ago, her bottom right tooth popped free. Is this normal? It seems premature. So, I googled and found that it's not the norm but it's not unusual either. Five weeks from first wiggle to tooth fairy time. The day we discovered it, Izzy wanted to let me mom know. This is the video we texted her. It's adorable. IMG 2096 from Erica Hernandez on Vimeo. LOVE the video!! So my daughter turned 5 in March and has lost 2 teeth (both on the bottom) already. It seem super early to me, too!